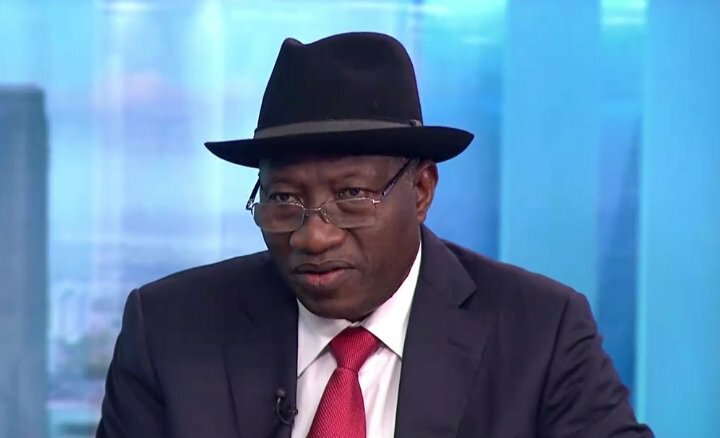 Former President Goodluck Jonathan says there is sense of worry among Nigerians regarding the neutrality of government agencies that will take part in the conduct of the 2019 general elections. He also said he could not take responsibility for the April 14, 2014 abduction of Chibok schoolgirls in Borno State. Jonathan, however, said he had faith in the Independent National Electoral Commission, the Nigeria Police Force, the Nigerian Army and the Department of State Services to do well. The former President said this during an interview on BBC. On the abduction of the over 200 schoolgirls in Chibok by Boko Haram in 2014, Jonathan said he could not take the blame for the incident. Jonathan said rather, Boko Haram should be blamed for the abduction of the girls in 2014 because as a President he could not go to the battlefield to fight insurgents. He said, “I cannot take responsibility for the abduction, I don’t control Boko Haram. They are criminals. But as a President, of course you know it is not the President that goes to the field. You have security and intelligence officers that do the work. The former President also lamented the way the Chibok issue was politicised. He wondered why a First Lady of the United States would take part in carrying a ‘Bring Back Our Girls’ placard. The former President reiterated his concern over the supposed interference of President Barack Obama during the build-up to the 2015 general elections. He said, “The level of interference by the Obama government was very overwhelming. It is not as if I could not have won the election even with that. If by my own thinking and also the way other people looked at it, they go outside the normal diplomatic relationship, then it should be mentioned. “Sending that person to Nigeria on the eve of elections even after Obama had issued a statement directing Nigerians to vote for the next chapter, that tells you something and we should not sweep these things under the carpet.